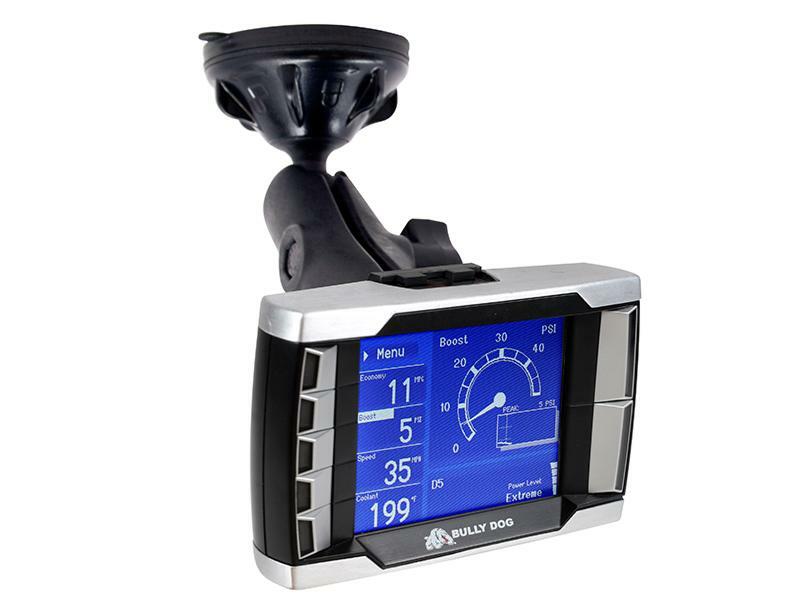 This custom mounting piece will allow anyone to mount the GT diesel, the GT gas, or the WatchDog into any standard or custom gauge pod mount that is equip with standard gauge hole sizes of 2 1/16in. Bully Dog and National Products Inc have partnered to bring you this state-of the-art RAM® Mirror-Mate™ Mounting Kit. It allows you to position your PMT just under the rear-view mirror for easy access and visibility. The custom designed half dome adaptors included in this package upgrade the PMTs 3/4” cradle ball to a 1” to ensure that the heavy duty arm fits tightly over the PMT cradle ball. This mount help provide the best in ease of use and accessibility possible with the PMT.